I live in a tiny home and I prefer not to cover my limited surfaces with plants. How do I deal with this? Hanging planters, of course! 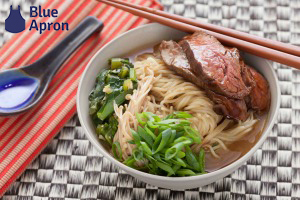 This is a VERY quick and simple project. 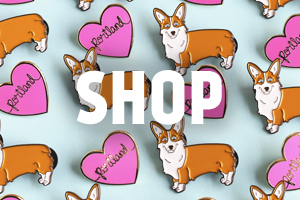 Perfect for even the non-crafty people. 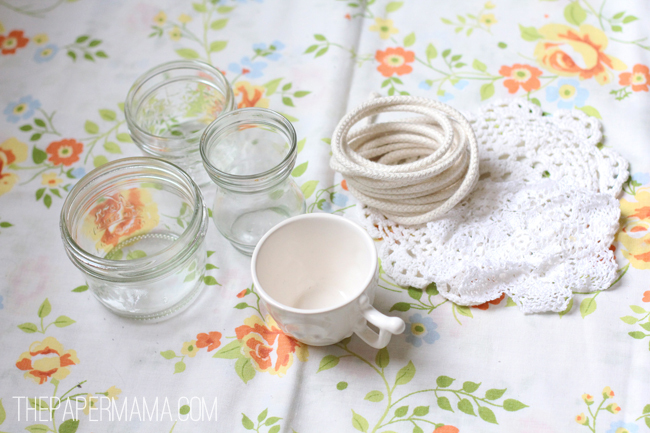 I made these sweet little Doily Plant Holders to put in my little girl’s room. She wanted plants in her room, but I didn’t really want my 3-year-old to have easy access to dirt in her bedroom. Might as well just avoid that situation. Ha! 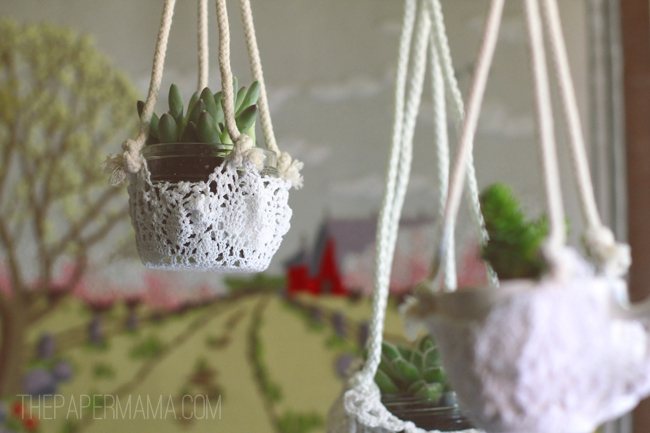 SO, let’s make Lace Hanging Planter Holders. 1. Cut 4 even sections of rope. For my shorter hanging planters I used just under a yard for each section of rope. 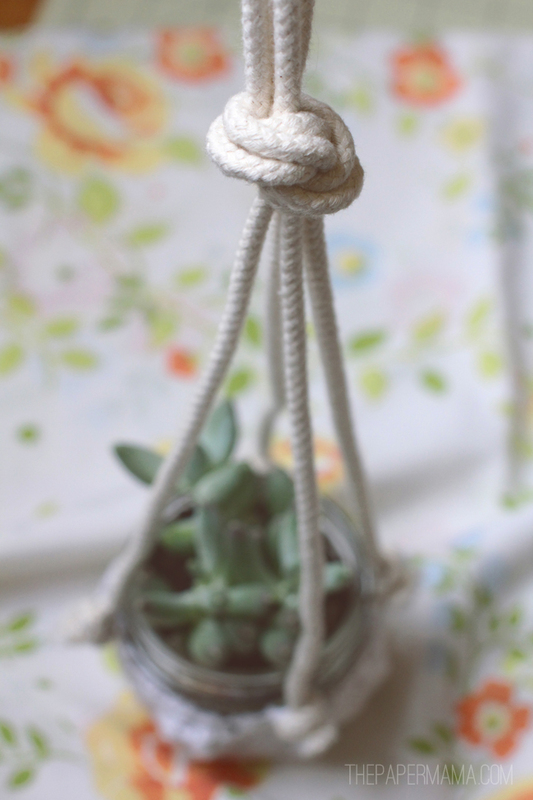 If you prefer, you can use 3 pieces of rope to hang your planter, but 4 strands is a bit sturdier. 2. 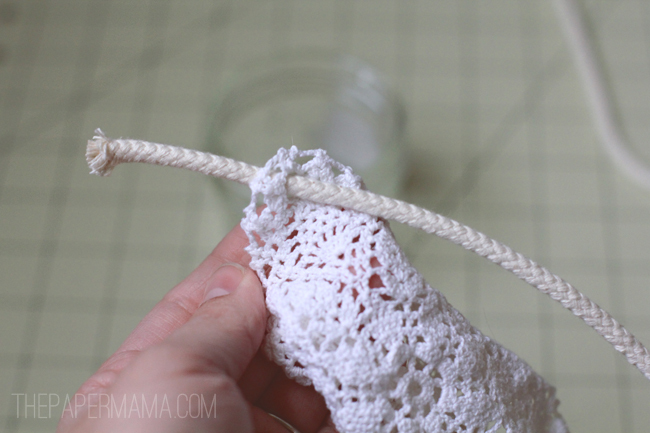 Thread the end of one rope strand through a hole on the doily. Tie a secure knot. 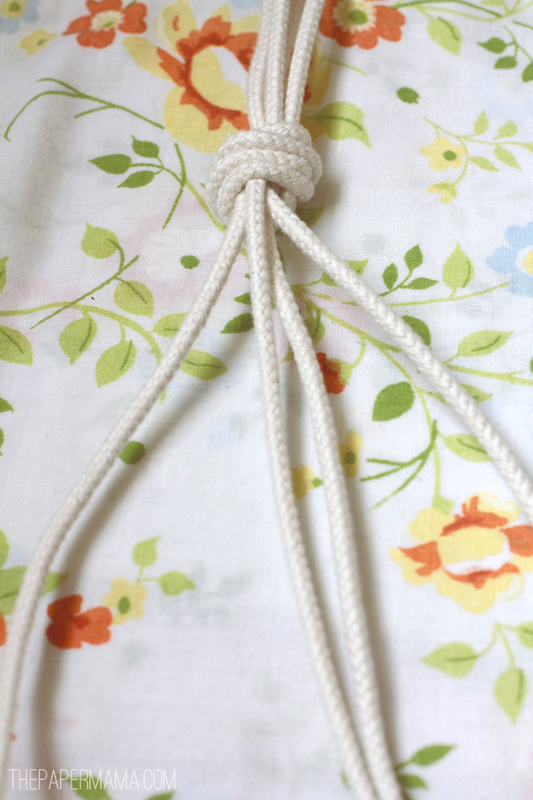 Repeat this with all of your rope strands, making sure you spread the rope out evenly. 3. 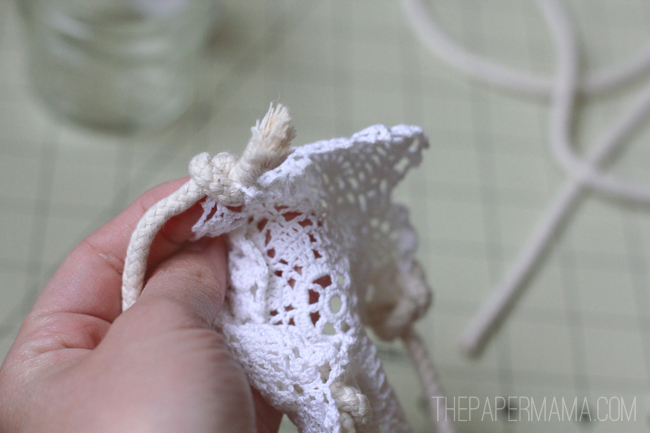 Use a needle and thread to sew and secure the knots. 4. 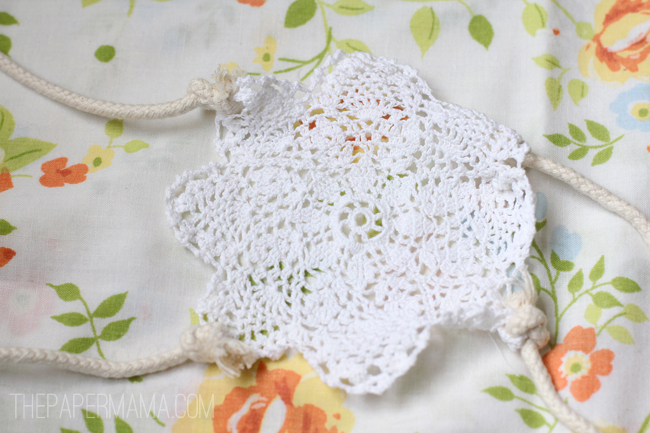 Optional: If your doily has a few scallops (like mine) you can stitch the sides of each scallop to it’s neighbor. 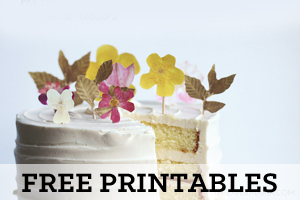 This will make the doily deeper for your planter. 5. 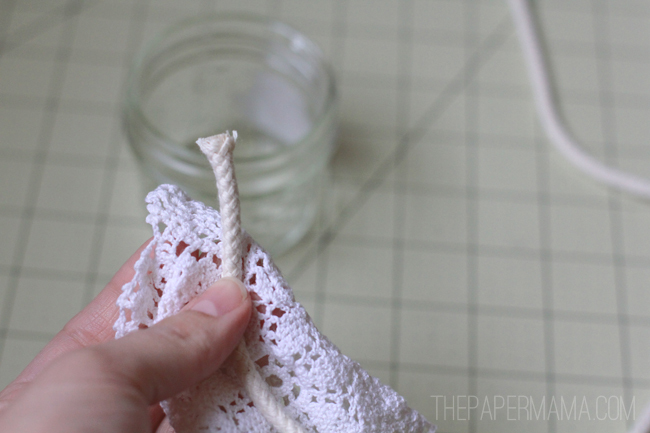 Place your container in the doily and hold it up with your hand, try to make it hang evenly, then tie the strands of rope into a knot. 6. Braid the remaining portion of your rope, leaving about 3 inches at the end. 7. 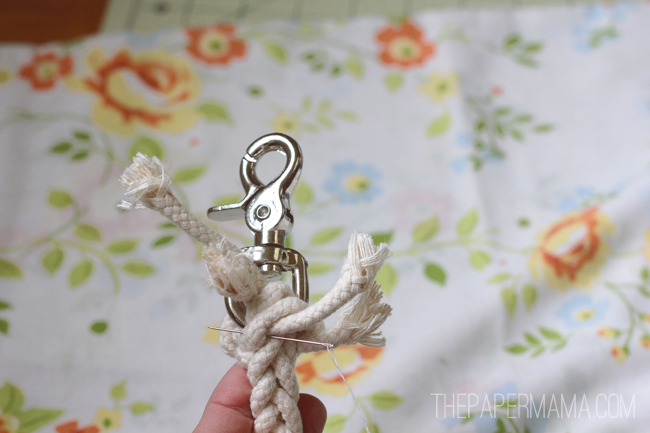 Tie your rope onto one scissor snap (I like these because they twist). 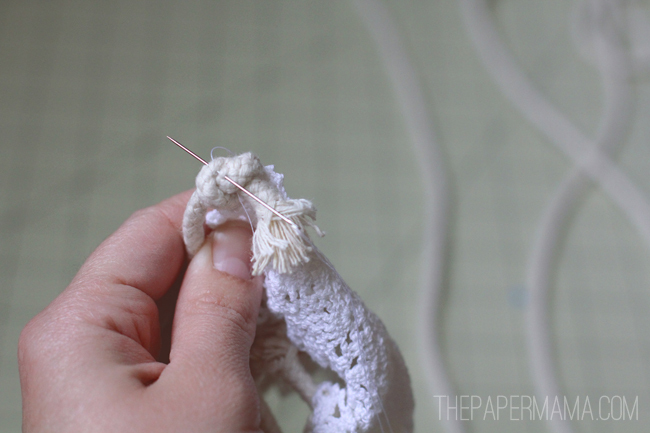 Use your needle and thread to secure the knot onto the scissor snap. 8. Plant one small succulent into one container. 9. 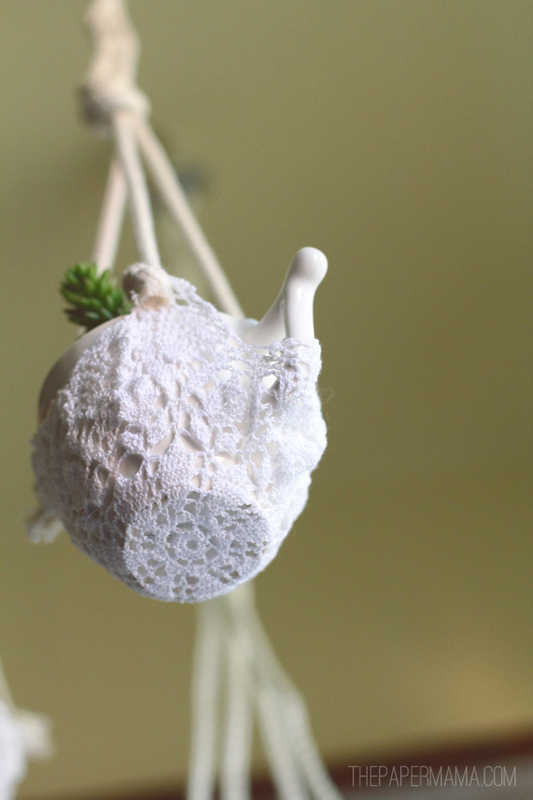 Hang your doily plant holder somewhere special, and place your planted succulent in the doily. 10. Repeat steps 1 through 9. to make your remaining plant hangers. Wow! What a great idea! I think this can also be apply in gardening. Good design for those plants in pots hanging. 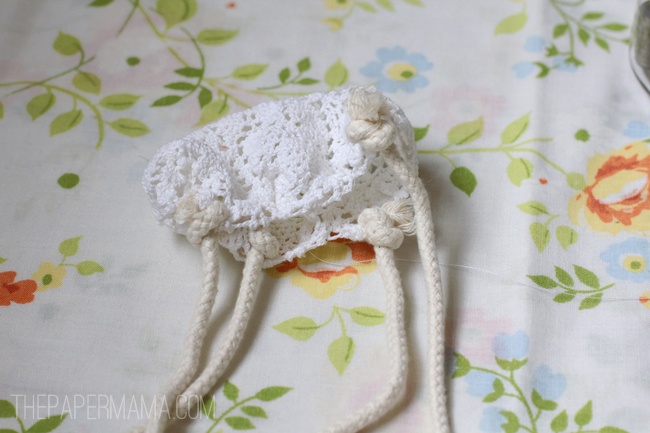 I love this idea – especially when I realized I don't have to crochet that doily myself! Little aloe plants would be great in these. I have some miniature ones in my yard that the rabbits are determined to eat. Looks like they'll get a new home. Yes! Maybe this will stop those silly kitties! 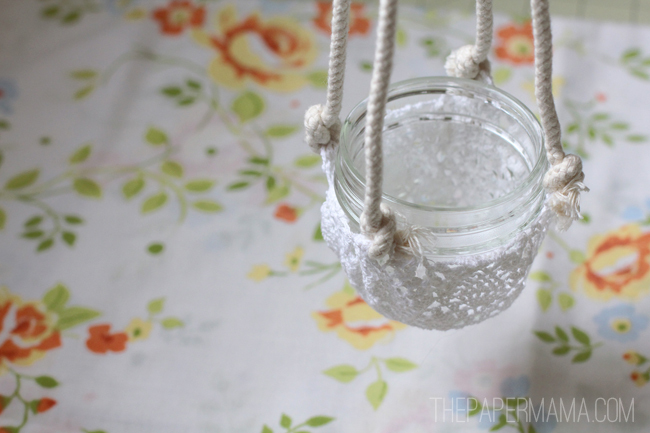 I have been looking at a variety of hanging planters, but these are the first lacey version. Very delicate looking with the little succulents. What a creative idea! 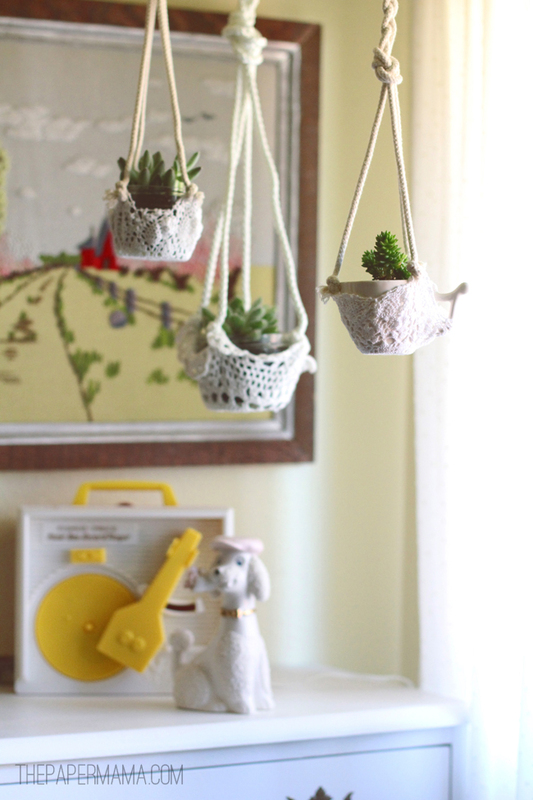 These doily planters are too stinkin cute!